Not all gas furnace brands are equal in terms of quality, reliability and durability. What are the best furnace brands? This guide to the best furnace brands 2018-2019 discusses the qualities necessary to be considered a top furnace brand. Then, we look at four premium-quality furnace brands and the best affordable furnace brand available. Quality Components: Consumers understand that most products, like refrigerators for example, are available in basic, better and best brands. There is a qualitative difference between a cheap Whirlpool refrigerator and a well-built Sub-Zero or Jenn-Air model. Excellent Durability: Independent testing company Consumer Reports found that 77 percent of the time that furnaces failed, the repair was costly ($150+) and the furnace was out of commission for a day or more. Reliable furnaces break down less often over the course of their lifetime. Better Warranties: When an HVAC brand makes a quality furnace, it’s not afraid to back it with a lifetime heat exchanger warranty and general parts warranties of at least 10 years. Premium Performance: Well-built, durability gas furnaces backed by good warranties must also offer superior performance to make the Best Furnace Brands list. The brands in our list are the top-of-the-line furnace series from each brand. For example, Lennox makes the Merit Series (base models), Elite Series (better) and Dave Lennox Signature Collection Series (best). The Signature Series is one of the best furnace brands this year. The other Lennox series are not. Keep that in mind when shopping for gas furnaces and comparing brands. All the best gas furnaces should last 20+ years but ONLY when properly installed and maintained. Quality: Aluminized steel primary and stainless steel secondary heat exchangers, heavy-gauge steel cabinets and variable-speed ECM blower motors that use less energy than standard blowers. Warranty: Lifetime heat exchanger; 10-year parts. Performance: These are fully modulating gas furnaces with multi-port, in-shot burners for efficient, reliable heating. The ComfortLink II communicating system coordinates components and makes diagnosis and repair easier if issues do arise. More information: See our Trane Gas Furnace Buying Guide to compare this brand with others listed here. Heil is an International Comfort Products (ICP) brand along with Arcoaire, Comfortmaker, Day & Night, KeepRite and Tempstar. Their product lineups are identical except for the name. Each makes a version of the QuietComfort line, but with names like Comfortmaker SoftSound Deluxe. ICP is a United Technologies company, but with a different product lineup than UTC brands Carrier and Bryant. Quality: Stainless steel secondary heat exchangers, silicon nitride hot-surface ignition for outstanding reliability. Warranty: Lifetime heat exchanger warranty with something extra, the 10-year No Hassle replacement guarantee. If the heat exchange fails in the first 10 years, the entire furnace will be replaced. The general parts warranty is 10 years. Performance: These furnaces feature modulating gas valves for premium efficiency and heating accuracy and variable-speed ECM blowers for efficient, comfortable performance. The Observer communication system improves efficiency through component coordination, and it eases diagnosis of system errors. More Information: Our Heil Gas Furnace Buying Guide includes more details about models, features and Heil gas furnace prices. These brands are owned by United Technology, a Fortune 100 company with deep research and development pockets to continually improve quality and dependability. Carrier Infinity and Bryant Evolution Series have been known for innovation. They were among the first to introduce variable-capacity (modulating) gas furnaces and heat pump/AC models. Quality: Aluminized steel primary and stainless steel/fin-tube secondary heat exchangers, ECM blower motor for energy-efficient airflow, heavily insulated cabinet makes this one of the quietest furnaces available. Performance: Carrier’s modulating technology, one of the first on the market, is known as Greenspeed. It was on the forefront of HVAC equipment that dramatically increased efficiency levels and indoor comfort control. The Carrier Infinity Greenspeed furnace (model 59mn7) is 98.5% efficient, second-best among the best gas furnaces 2018-2019. More Information: Take a closer look at Carrier Infinity gas furnaces with our Carrier Gas Furnace Buying Guide. What sets Lennox apart is that the company makes many of its own replacement parts. This guarantees their quality. Most other brands use universal repair parts rather than OEM parts. The one issue with Lennox repairs is that due to using Lennox parts exclusively, there are occasional delays when parts aren’t available. Quality: Steel insulated cabinet, stainless steel secondary heat exchanger. Warranty: Lifetime heat exchanger warranty and 10-year general parts warranty. Performance: The Lennox Signature Series SLPV98 is 98.7% efficient, the most efficient gas furnace. It has modulating heat, which Lennox calls variable capacity and a variable-speed ECM blower motor. The Lennox iComfort Wi-Fi thermostat is highly rated for system management and ease of use. It allows homeowners to cut heating costs by 15 percent or more. More Information: We’ve completed a Lennox Gas Furnace Buying Guide with more detail on features and performance that helps you compare this brand head-to-head with others you’re considering. Goodman is a Daikin brand now along with sister-brand Amana. Daikin is maintaining Goodman as the value brand – great prices and surprisingly good performance backed by some of the best warranties in the industry. Quality: Silicon nitride igniters, sound-insulated, heavy-gauge cabinets with baked-on powder coating, heavy-duty stainless steel heat exchangers. Warranty: 10 years on general parts. The heat exchangers are backed by a lifetime warranty that includes replacement of the entire furnace if the heat exchanger fails. It’s the best warranty in the furnace industry. Performance: The GMVM is a modulating 98% furnace while the GMVC is a two-stage 96% furnace, both with variable-speed ECM blower motors. More Information: Our Goodman Gas Furnace Buying Guide has many more details including model and pricing information to help you decide if buying a budget furnace is the right choice for you. Many independent, comprehensive tests in the last 15 years have demonstrated that most of the top HVAC brands are comparably matched in quality. There’s not a large quality gap between the best furnace brands listed here and the rest of the pack. Those same tests show that the most important part of your gas furnace buying decision is choosing an installation contractor. There are good mechanics and those that couldn’t determine the problem or made the issue worse. There are good hair stylists and those you wouldn’t recommend to your worst enemy. The same is true with gas furnace installers. Choosing an installer that doesn’t do the job properly can turn a Lennox Signature or Carrier Infinity gas furnace into a furnace that runs less efficiently and breaks down more often than it should. Sorting through the dozens of furnace installers where you live can be a long, tedious process. It starts with going through the Google listings or asking friends and relatives for their suggestions. Then, you have to narrow the list to furnace installers you’re going to call and interview. You should ask them about the training, certifications and experience of the technician that would install the furnace and whether the company is licensed and insured. There’s another method, and that is to let someone else pre-screen local furnace installers for you. That’s what our partner service does. The Free Local Quote offer puts you in touch with three of the top furnace and HVAC installers where you live. They are experienced, licensed and installed. Once you get their written quotes, you can check their references, look them up on Google reviews or Yelp and ask them pertinent questions. There is no cost for using the service, and you’re not obligated in any way to accept one of the estimates. It simply makes finding a reliable installer so much easier. If you’re going to buy one of the 2018-2019 best furnace brands, it is crucial to have it installed by a proven professional. For more help on selecting a furnace installer, see our guide to Homeowner Tactics When Negotiating with an HVAC Contractor. thanks for the detailed information on furnaces. I was recently pitched for Daikin 2 stage gas valve, variable speed ECM blower motor. where does this furnace rank? I am close to buying a Rudd R95P furnace. Is this a pretty good one? Yeah, it is a good one if installed properly. I need to replace my manufactured home’s heat pump system. I’ve had quotes on Trane, Goodman, Nordyne, Ruud and Ducane. The Trane is the most costly and Ducane is the least and are about $1000 apart in price. I’m not sure what to get. Any advice? Did you get 5 quotes from the same contractor? 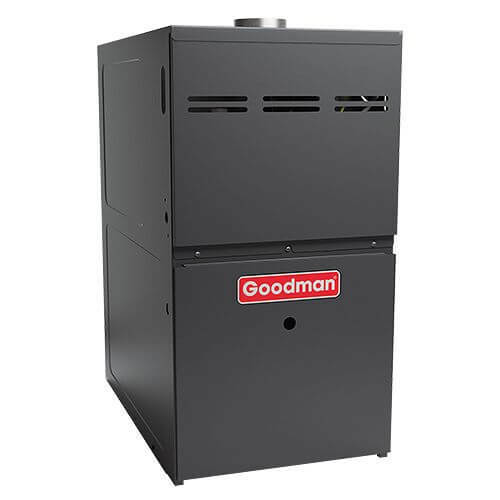 I see list where Goodman is ranked budget brand and recommended as best value budget furnace. However there is disclaimers like your “Many independent, comprehensive tests in the last 15 years have demonstrated that most of the top HVAC brands are comparably matched in quality. There’s not a large quality gap between the best furnace brands listed here and the rest of the pack.” When I read this I ask myself why would I buy Carrier for example vs Goodman. Looking at there GMVM97 / GMVC96. My personal advice: If the seller sells both Goodman and Carrier, just choose Goodman. If the seller only sells Goodman, be careful with that. Carrier is more selective in choosing the contractor. Hi Steve, I was recently pitched a York Affinity 80% furnace. I’m seeing conflicting reviews on the reliability and functionality of York furnaces. Thoughts? Can you tell me anything about the Armstrong gas furnaces? Are they any good? And does Trane require contractors to be trained by them for repairs? Any thoughts on Airtemp? I got what looks like a good estimate from an excellent installer for a furnace and heat pump, but can’t find reviews.